You want to know the social media trends 2019 – and for good reason. After all, you know that social media is critical to almost all brands’ marketing and overall success. Because social media is ever-changing, staying “in the know” will help you confidently strategize and grow your business further this coming year. That’s why, to help you be one step ahead of the rest of the pack, our team at Roaring Pajamas is sharing our insights into the future of social media. Remember, even if social media felt like a challenging “To Do” for you this past year, know there is hope. 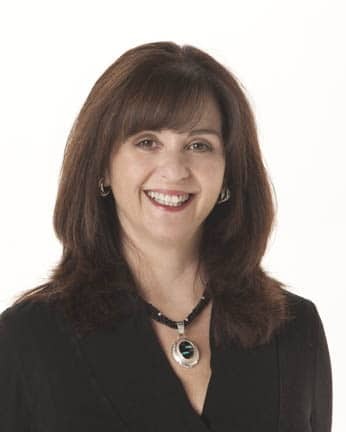 Ready to use the power of social media to build these kinds of authentic, long-term connections with dream customers? Let’s share the trends that’ll help you get there! An overarching pattern exists for the future of social media. We, like most experts, predict a shift from the written word into visuals, especially video. Other social media savants agree. Take Marcus Sheridan. Formerly known as The Sales Lion, this author and podcast host has proclaimed that by 2019, he estimates 80% of all content we consume will be video. Another reason live video is so engaging is because this medium feels authentic. With the fears around fake news and overly perfect feeds, consumers are feeling that need for genuine connection and are more likely to build trust and loyalty with brands that create down-to-Earth video and live content. This brings us to a few of the top, specific social media trends for 2019. In 2016 Instagram added Insta-Stories, the SnapChat-like feature letting accounts post short storytelling segments that disappear in 24 hours. With the attraction and growth of “live” and content that feels more spontaneous and authentic, Stories is only growing as one of the top social media trends in 2019. There may also be more advertisements in between stories of followed accounts. Paid ads are a powerful way to use marketing dollars to get in front of ideal audiences and measure your ROI. Facebook Live was rolled out to some users in August 2015 and, by August 2016, anyone with a Facebook account had the ability to utilize this live streaming capability. Since launching, Facebook Live has helped many brands grow their reach and connect more deeply with more clients. Facebook Live will continue as one of the top social media trends in 2019. Currently, most ads we see on Facebook are in our main feeds and sidebars. The same way Instagram features advertisements in between stories of followed accounts, it’s likely Facebook will introduce such ads, as well. As ads are key to the future of social media, keep this information in mind when considering your Facebook and overall marketing budget for 2019. Chatbots are growing in popularity – and will only continue to expand this coming year. From setting up accounts to purchasing airline tickets and booking hotels, chatbots are being used to maximize efficiency and increase convenience. After all, a bot can be at work on a website 24/7 – rather than having a human working at 2 am, a bot can be there to help. Partnering with influencers is a trend that is continually effective – and certainly one of the key social media trends 2019. In our work at Roaring Pajamas, we’ve found continued effective results by partnering with influencers. The right partners have like audiences with built-in trust with their followers, so when an influencer features your brand – ears are already perking up to listen! Look out for Instagram adding a new shopping feature, which lets consumers buy products directly through the platform. For example, a decorator can post an image with household items and let visitors purchase by tapping on the item. What Social Media Trends 2019 Do You Predict? 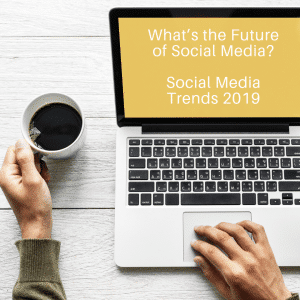 Our team and other experts feel strongly that the trends listed through this blog are the future of social media, but we want to hear your input too. What trends do you think the New Year will bring?